It seems a long time ago since we launched our racing car at Hennessey Lifestyle and we all look back at how special the evening was. 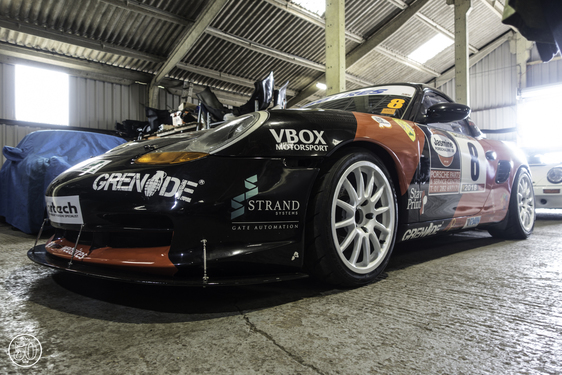 Since the launch we focused heavily on making sure our car was ready to go at Oulton Park with testing scheduled a week before the race. Testing did prove its name when we had significant oil issues with a Deep Racing Sump that was faulty resulting in a lot of oil going places it shouldn't! We learned from this and changed the sump for a far better baffled one going forward. As mentioned in our previous blog post when we came to actually race we had oil starvation issues and this lead to damage to the engine ultimately knocking us out of the race weekend and stopping us in our tracks in the shorterm. When we arrived back at the workshop we started looking at the problems faced with this oil starvation issue. While many teams in the series get round the issue by running less oil in the cars we wanted to fully look into fixing the problem long term not just for us but the rest of the teams. We have now fitted a far better Baffled Deep Sump to the car which we hope will stop the oil sloshing in the car and help us avoid any further issues and have also purchased a Motorsport Oil Air Separator which will help stop the oil in the car going to any other places it shouldn't be. The team have been working hard to get the car out for Cadwell park this coming week but unfortunately there was a significant delay in getting the Air Separator in time for the race as Porsche no longer mass produce them. We now look forward to Rockingham at the end of the month where we are aiming to have the car ready to race to hopefully bring home some silver wear! The track is challenging and will be the perfect first race for us as we test ourselves setup wise. Toby has been training on our sim in preparation for the race and as a team we are confident that we will do well. We thank all of our sponsors and supporters for their understanding as we now focus on having a successful season from now on.